Welcome Pioneer Friends and Leaders! In these pages you will find stories shared with us by the people we love – campers, staff, volunteers and friends like you. We hope these stories encourage you and cause you to think about the bigger picture that Christ is working out through his people. He is in the business of restoration. (Colossians 1:15-23). These are our stories of restoration and growth. These are the things we are learning as the Pioneer family. Today’s guest post is by our friend Calum, a former LIT camper and current LEAD program intern. 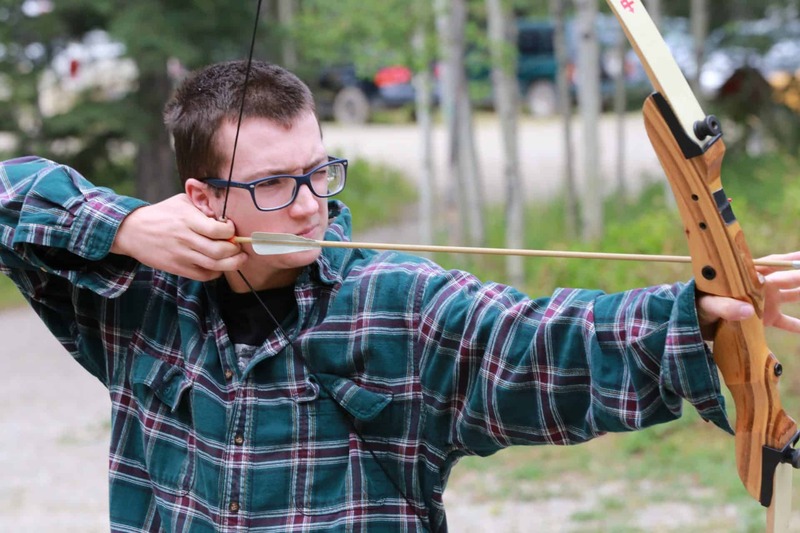 My name is Calum and this past summer, I was in the LIT program at Pioneer Camp Alberta’s Ranch. For two weeks, I grew stronger in my faith and learnt the essentials for being not only a capable, but dare I say, stellar cabin leader. The summer before, I had cabin led for a week, to help out a friend. I spent the week feeling lost and confused. I felt as if I had been but a glorified babysitter. This past summer, LIT prepared me for not just cabin leading, but for program, for kitchen, for year-round LEAD internship, for life beyond camp. I could go on and on about what LIT taught me, about how the experiences during and resulting from have and continue to shape me, but I think my point is best delivered via a true story. In this little tale, what LIT did for me and for others, is abundantly clear. I know it will stick with me for years into the future. A lesson I wish I had learnt my first summer was that it’s okay to ask for help. In fact, in some ways it’s encouraged me to seek mentors and guides; to ask for help. After all, as camp staff and volunteers, we are a team working together. LIT taught me I didn’t need to – and I shouldn’t – go it alone. I had my team backing me up, and I in turn, backing them up.. Sometimes I need these key learnings to be explicitly stated to me, which LIT delivered upon. Other times the learning was more covert, sinking in without me even realizing. I remember reflecting on this as I drove away from the Ranch, LIT having ended that morning. Boy, I could not have fathomed how relevant these golden nuggets would soon be! That afternoon I found myself at the Lodge. In under twenty-four hours campers would arrive and cabin leading, take two, would begin. That week, one of my campers struggled with interpersonal skills. He was uncomfortable with human touch, flinching if someone laid a hand on his shoulder, or stood too close. He often had difficulty conveying what was making him uncomfortable, or what he wanted to do or say. I had to reach out for help. I am indebted to many of the older volunteers who had experience with kids who wrestled with similar issues. These leaders gave me advice, tips, and even stepped in a time or two. I am indebted to the many staff who would look after my other campers as I gave him the attention and care he needed, and vice versa. LIT had taught me that it isn’t weakness to recognize when I need help and guidance. In fact, it’s more of a strength. LIT had taught me that I’m not a failure if I ask for others to help. LIT had taught me that God is using me regardless of whether or not I’m aware of that. LIT had taught me to keep working, to keep on caring. So I did. That week was tough, at first, but not overwhelming. I always felt well prepared, and truly part of a team. It was extremely rewarding. That was the most awkward hug I have ever received, but perhaps one of the most meaningful and treasured. It was a sign of how much he had developed, in just six days. It was a sign of how much I had developed through the two weeks of LIT and that past week of camp. I had kept going, kept believing in him and doing all I could, as part of the team. LIT had instilled in me that perseverance and we both benefitted from that – immensely. This summer I plan to cabin lead for that week again; in case he comes back, to pick up where we left off, and to see how he’s doing. I cabin led three more times last summer and never regretted a single moment of it. LIT helped me understand the greater framework of the camp team, and my own role within it. I’m so glad LIT is offered at Pioneer, that I was able to go through it, and that camp is here to provide places for campers and leaders to grow and develop. Calum first came to camp as a volunteer in the summer of 2016, planning to cabin lead for a week. He stayed for another week after that before heading back to his home in Calgary, but soon came back again. The summer after he attended LIT (Leaders in Training) at the Pioneer Ranch site, followed by volunteering the rest of the summer at their sister site, Pioneer Lodge, where he has since stayed on as part of the LEAD (Leadership Experience and Discipleship) program.